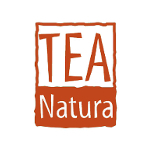 TEA Nature, the company that deals with ecological detergents that respect the environment and those who use them. 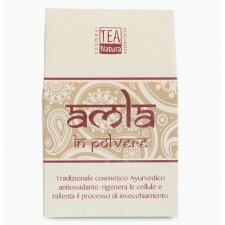 Tea produces environmentally friendly cleaning products, and natural cosmetics, all certificate used Vegan Ok and handcrafted in the laboratory of Ancona opened in 2003. As Tea can try to use organic raw materials of local origin, cultivated in this region, while many commodities necessarily import (Shea butter, henné, incense ...) are certified fair trade. Objectives of Tea Nature: complete and rapid biodegradability of the product; complete control of the production chain that held also the ethics of the suppliers; use of renewable sources of energy and attention in the choice of raw materials; concentration of the products; recyclable packaging (glass, recycled pet, bag in box); last, but not in order of importance, the safety of the end user. 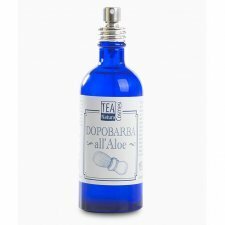 The TEA Natura Aloe aftershave, rich in active ingredients from plants and essential oils, used after shaving, has soothing effect, given the presence of Aloe Vera, Hypericum and Tea Tree Oil. The extracts of Horse Chestnut, Centella Asiatica, Juniper, Melissa and Rosemary, plants known for their nourishing and restorative properties, leaving the skin soft and smooth face. The aromatic note is the presence of pure essential oils of Sandalwood, Cinnamon and Citrus. 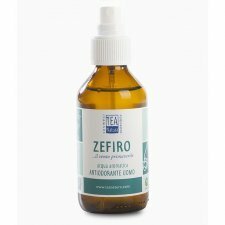 ZEFIRO "is a deodorant product indicated to avoid the problem of persistent sweating. Perfumed and fresh, ensures a long-lasting deodorant, neutralizes body odors without altering the skin's physiological balance, and prevent normal sweating. Size: glass bottle spray 100 ml - PAO 12 months. 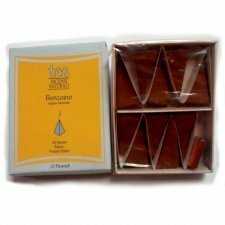 Benzoin Incense: this incense is an excellent cleanser and purifier. It takes away the negativity. Balsamic fragrance and its delicate fragrance brings good mood. Diuretic, antiseptic, expectorant, anti-inflammatory, rebalancing; used in conditions of stress, depression, SPM irritability, throat infections, bronchitis cough, asthma, skin irritations, circulatory problems, urogenital infections, skin cuts infections. Not contains: synthetic chemicals, solvents, naphthalene, nitromuschio (Musk Ketone / Musk Xiylene / Muschio Ambrette), glues, dyes. 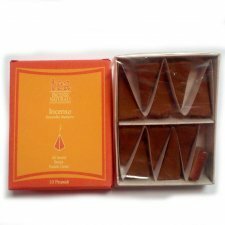 From a fair trade project is born the pyramid incense with Benzoin (balsamic resin of the homonymous plant, used in India during religious practices). Benzoin contains vanillin which gives the incense a pleasant aroma of vanilla. 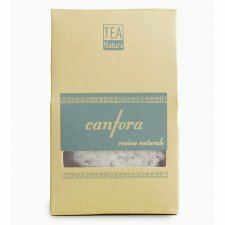 This incense is useful for purifying the spaces and thanks to its balsamic effect helps in case of flu disorders. The package, made with recycled raw materials, contains 10 pyramids and a small tile where to place the pyramid once lit. Inci: Benzoin resin, Bark powder, Charcoal, Santalum Album. Compounds of only herbs, flowers, powders of aromatic woods, roots, resins and other natural products, which burn a pleasant and delicate aroma. Completely free of synthetic chemicals, solvents, mothballs, nitromusks (Musk Ketone / Musk Xiylene / Muschio Ambrette), glues, dyes. Natural Camphor Resin: steamed from the wood of the plant, used in Hindu temples for worshiping deities, sharpens sensory perception and clarity of thought, purifies the atmosphere from negative vibrations and presences. Applied with massage oil relieves pain and muscle tears. It has expectorant properties, stimulating tonic, analgesic and antiseptic. 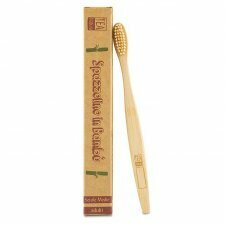 The toothbrush TEA Natura is a product made of bamboo, biodegradable and compostable material. The bamboo is the plant with the best yield per hectare wood ratio and does not need to fertilizers for the cultivation, thus being a sustainable plant for the environment. 100% Bamboo. 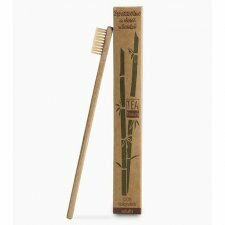 Medium Bristles Bamboo. 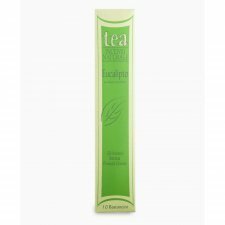 Eucalyptus Incense: diaphoretic, decongestant, stimulant, antiseptic, antispasmodic, fluidizing, expectorant, diuretic, antipyretic, regenerative, hypoglycemic, germicidal. Used to counter constipation of the respiratory tract, asthma, bronchitis, sore throat, sinusitis, kidney and bladder infections, fever, angina, rheumatism, acne, dandruff, hyperemotivity, herpes simplex, skin ulcerations, insect bites. 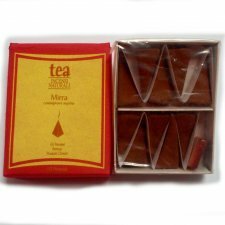 Pack of 10 gr. (10 sticks), obtained from waste paper and banana fibers. 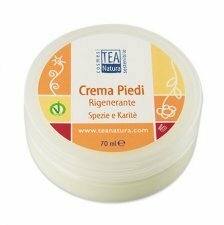 Foot Regenerating Cream with shea butter (Butyrospermum parkii butter) rich in vitamins (A, B: E; F) that make it particularly nourishing for the skin. Shea butter is obtained by grinding the Mangifolia the seeds that grow wild in Kenya. The working process is very long and is performed entirely by hand without the use of chemicals. The inclusion of essential oils in the formulation immediately give a refreshing and invigorating effect giving comfort to tired feet. The cream is very soft so as to be easily spread and absorbs quickly. Size: 70 ml in aluminium jar. Incense Incense: alterative, analgesic, rejuvenating, anti-inflammatory, disinfectant, antiseptic, astringent. Used for wounds, bronchitis, colds, wrinkles, depression. Preserves spiritual energy and leads to meditation. From a fair trade project is born the pyramid incense with Incense. Aromatic fragrance with strong oriental notes. Alterative, analgesic, rejuvenating, anti-inflammatory, disinfectant, antiseptic, astringent. Used for wounds, bronchitis, colds, wrinkles, depression. Preserves spiritual energy and leads to meditation. Inci: Incense resin, Bark powder, Charcoal, Santalum album. Compounds of only herbs, flowers, powders of aromatic woods, roots, resins and other natural products, which burn a pleasant and delicate aroma. Completely free of synthetic chemicals, solvents, mothballs, nitromusks (Musk Ketone/Musk Xiylene/Muschio Ambrette), glues, dyes. 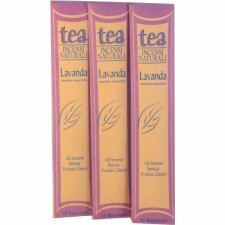 Lavender Incense: carminative, diuretic, antispasmodic, antiseptic, antibacterial, analgesic, galactoga, stimulating, balancing, mild antidepressant. Used for burns, wounds, insect bites, dermatitis, skin ulcers, herpes, rheumatism, neuritis, lumbago, ear infections, colds, flu, bronchitis, high blood pressure, stress, insomnia, irritability, emotional instability, dry skin , acne, fluid retention, hair loss, dandruff. 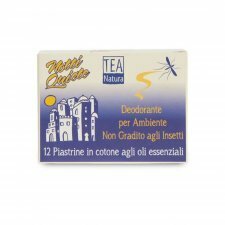 This blend of essential oils "Notti Quiete" is produced with pure essential oils chosen by the Ayurvedic culture: Citronella, Lemongrass, the Lemon, Eucalyptus and Patchouli oils are known to be unwelcome to mosquitoes and also to other insects. How to use: the mixture can be used in lamps for aromas, in vaporizers and to soak the cotton Tea tablet for the elettro plug-in allowing it to spread its aroma without combustion, perfuming the environments in natural and safe way. Finally cotton tablets for electric plug-in mosquito killer unit, healthy and natural !! Also can be used multiple times, just charge them with a few drops of Essential Oils Blend "Notti Quiete" (sold separately). They are produced with totally natural ingredients, the tablet of pressed raw cotton is soaked in a mixture of pure essential oils based on Ayurvedic knowledge. 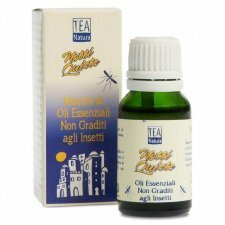 The Citronella, Lemongrass, Lemon, Eucalyptus and Patchouli essential oils are known to be unpleasant to mosquitoes and other insects. 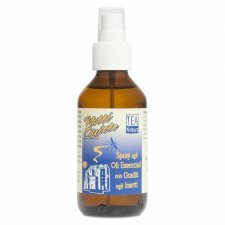 Spray "Notti Quiete" with blend of essential oils will make it more pleasant on summer evenings, unwelcome insects thanks to the synergy of Rice Bran Oil is a blend of pure essential oils. The spray is non-greasy and leaves the skin hydrated, soft and dry. Can also be used as an excellent dopopuntura. How to use: spray the product on the skin and massage until completely absorbed, repeat the application as needed. Size: 100 ml in glass. From a fair trade project is born the pyramid incense with Myrrh (gommaresina extracted from the trunk of the commiphora). Myrrh is a very precious resin, it is an excellent repolisizer. This incense is a bearer of joy and attracts the spirits of good. Balsamic and deodorant fragrance. 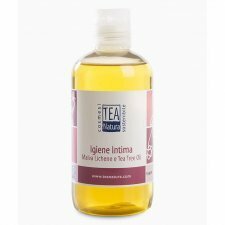 Inci: Mirra resina, Corteccia polvere, Carbone vegetale, Santalum Album. 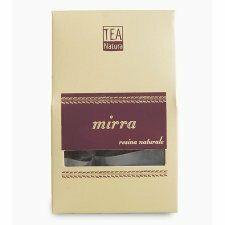 Myrrh Natural Resin: gommoresina "Mirra in Sorte", or the variety formed by conglomerate masses, is extracted by incision from the bark of the trunk. 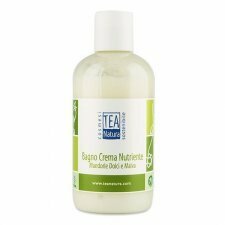 It has strong antiseptic, balsamic, deodorant, astringent, anti-inflammatory properties. Used in cosmetics for its regenerative action in the treatment of mature skin and in the prevention of stretch marks and wrinkles. Original and innovative formula that delicately nourishes the skin thanks to the presence of specific agents such as Sweet Almond Oil, Olive Oil, Sunflower Bio and Malva Bio extract. Suitable for all types of skin, especially for those dry or cracked: it makes them soft and smooth, nourishes them deep after the shower leaving them pleasantly rich and velvety. The scent is given only by natural essential oils.